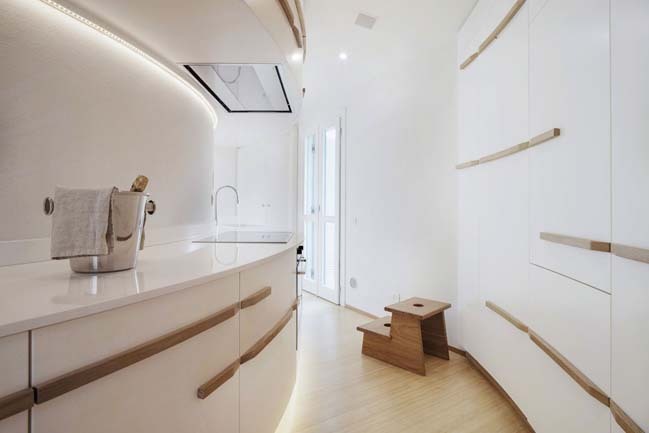 Designed by Studiòvo. 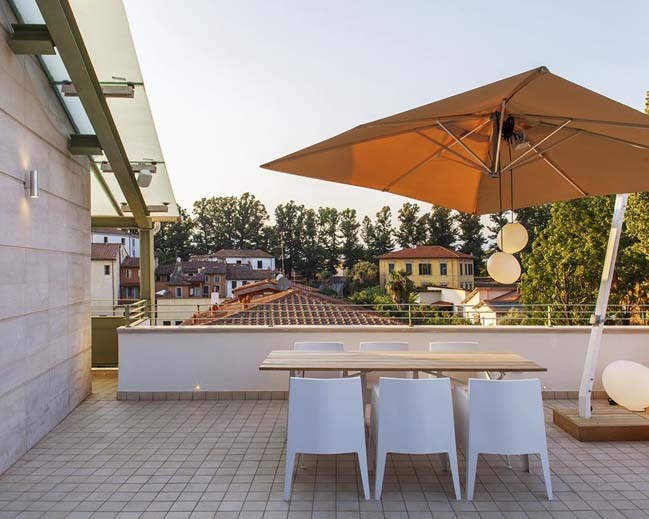 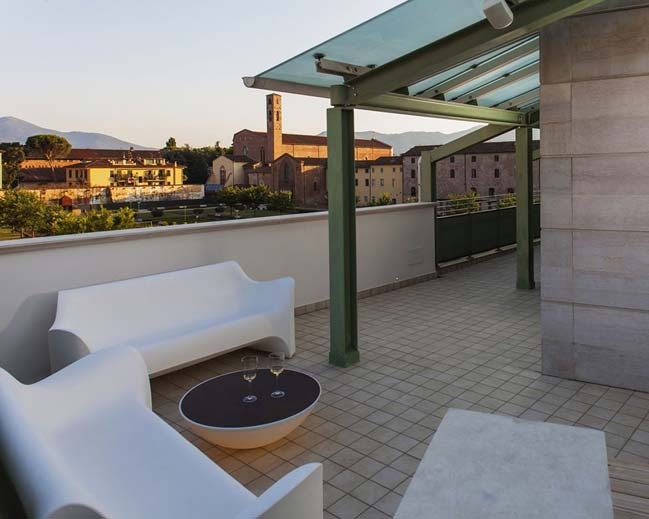 This luxury apartment has an elegant modern design with the lastest technology in the poetic context of the historic center of Lucca, Italy. 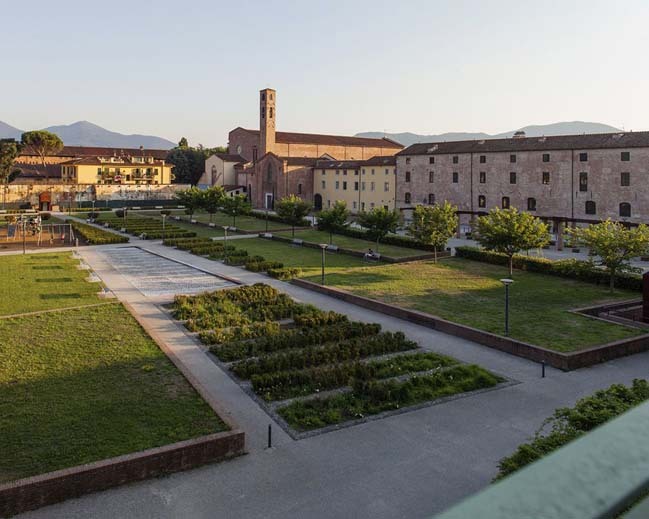 From the architects: A song blending ancient and modern melodies, a “Canticle”: the brand-new residence in the heart of one of Italy’s most fascinating medieval centers. 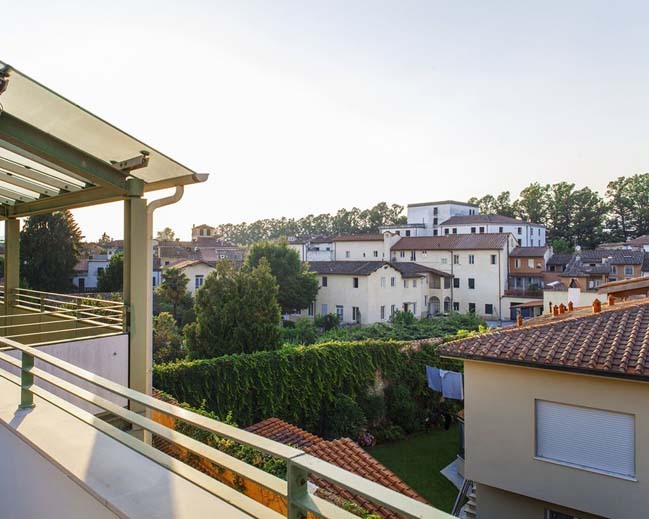 A convenient, prestigious jumping-off point, in any season of the year, for exploring Lucca and indeed all of Tuscany while staying close to Versilia’s fabulous seaside. 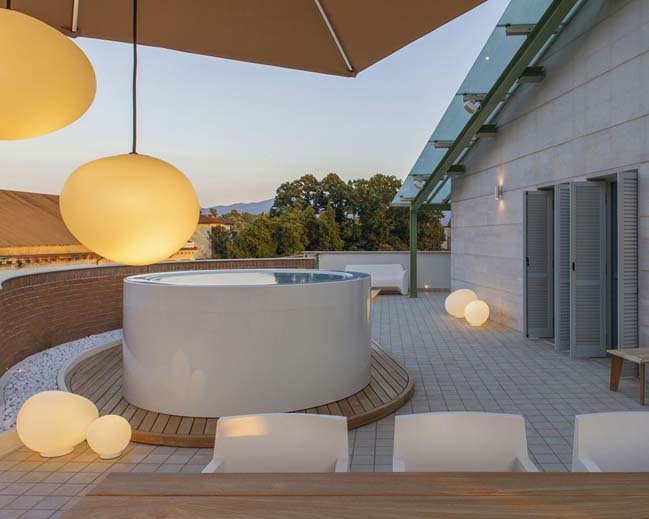 For those of us who understand vacationing as an emotive luxury experience. 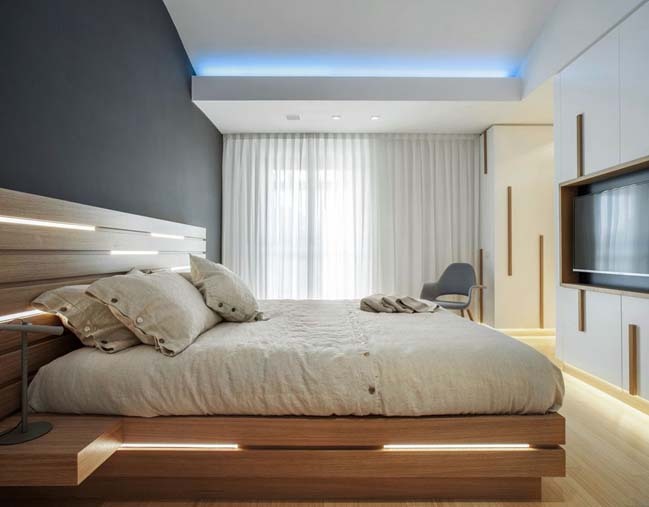 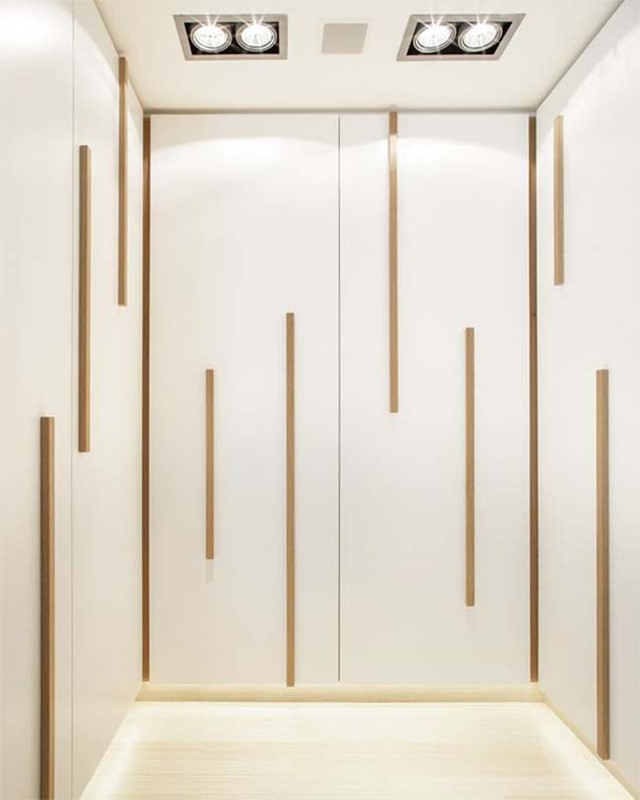 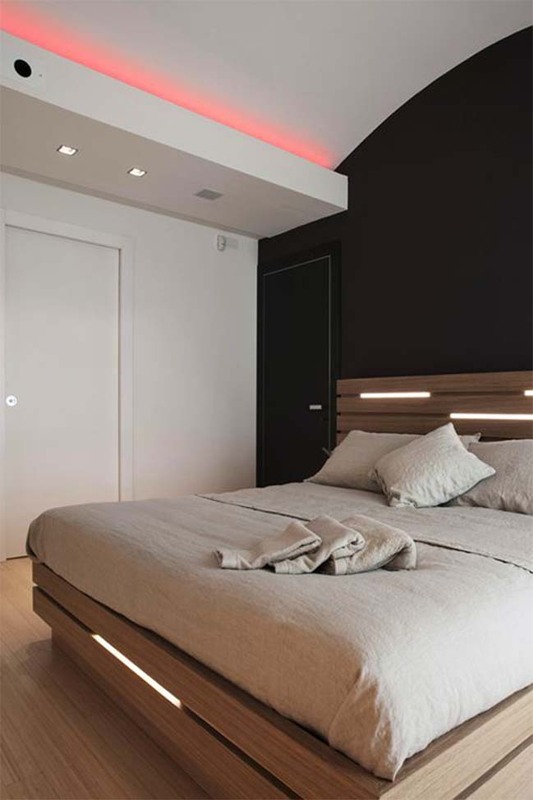 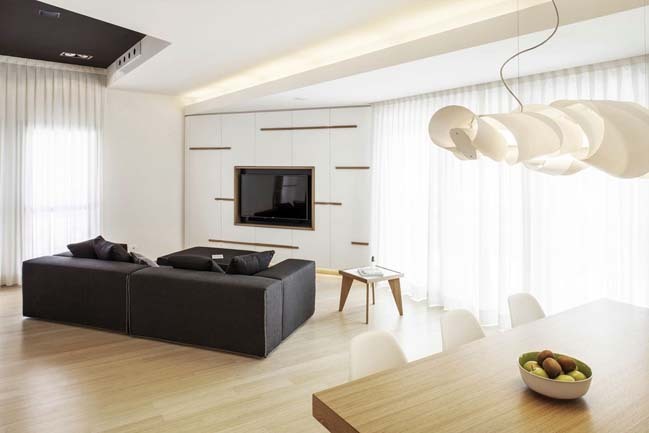 The lighting project is complex, conceived to offer many options for modulating a great number of lighting parameters to create changing scenarios over the course of the day and in each different space of the home. 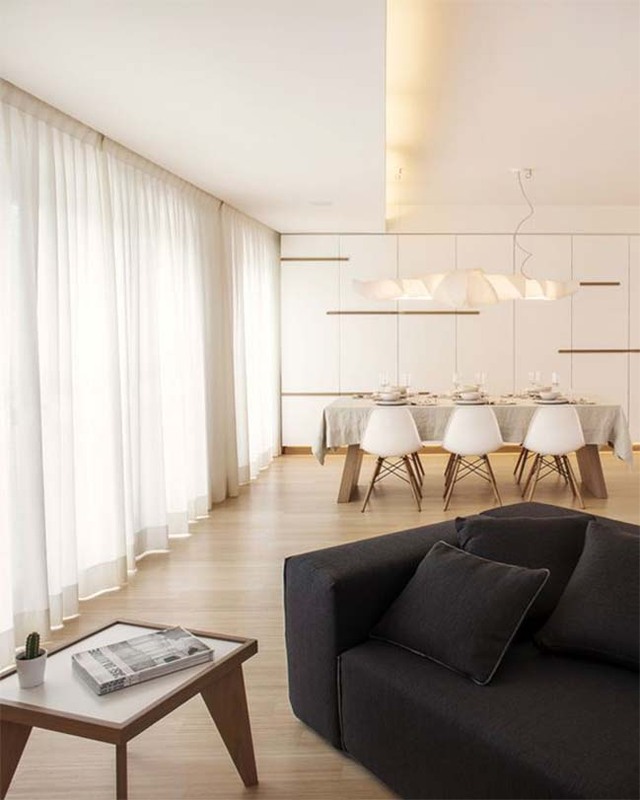 Even greater care, were that possible, was taken with the furnishings: everything is made to measure! 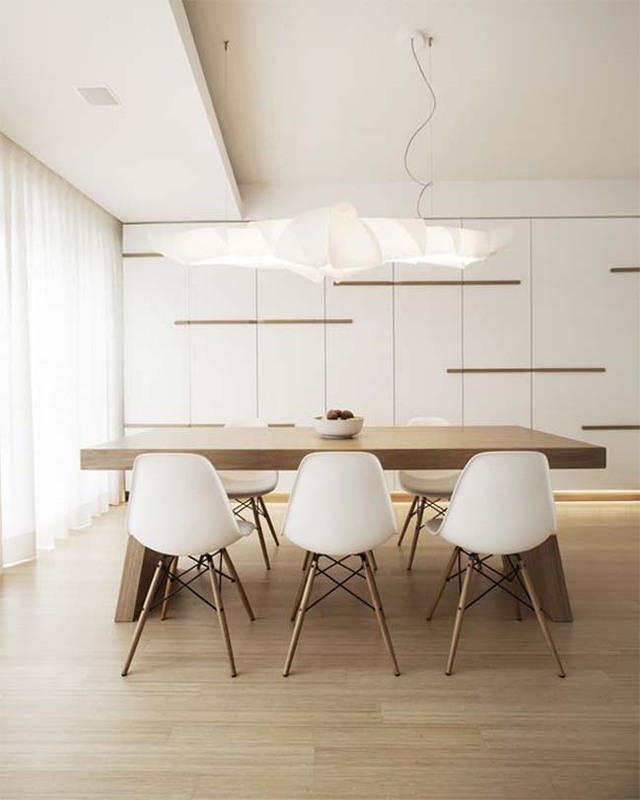 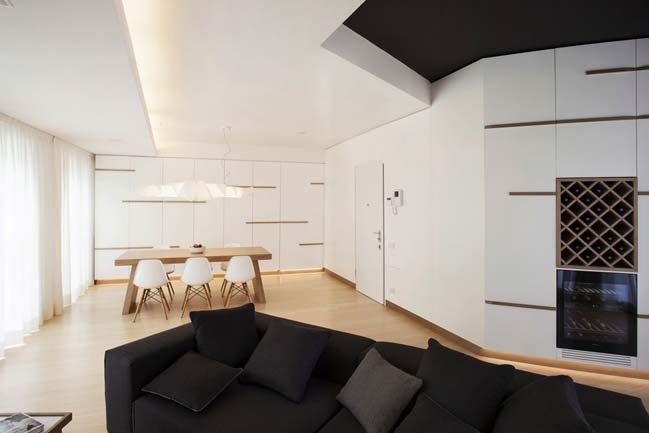 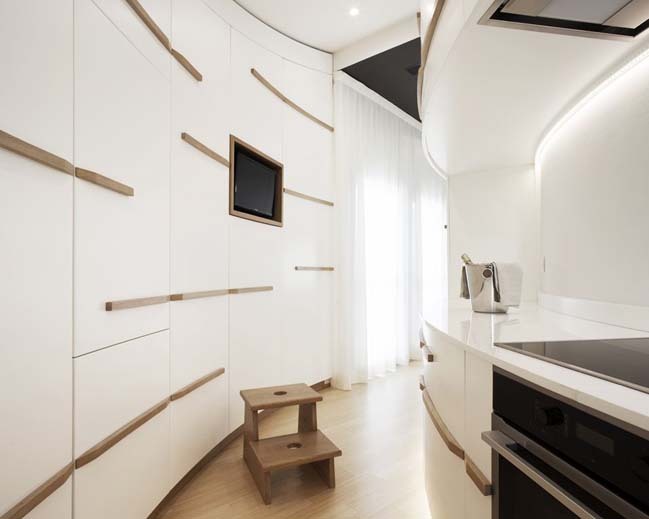 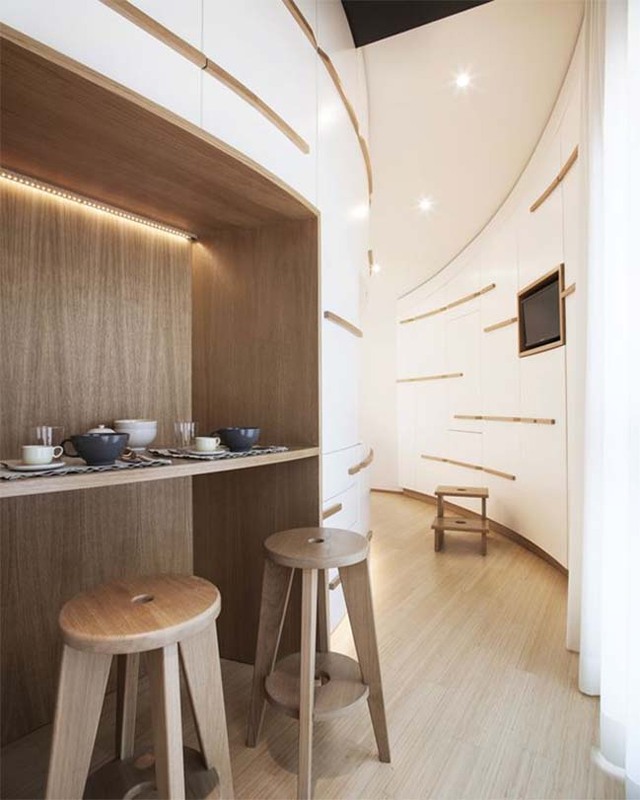 Like the spectacular kitchen, designed by Studiòvo, with its surfaces describing an unusual, uninterrupted curve. 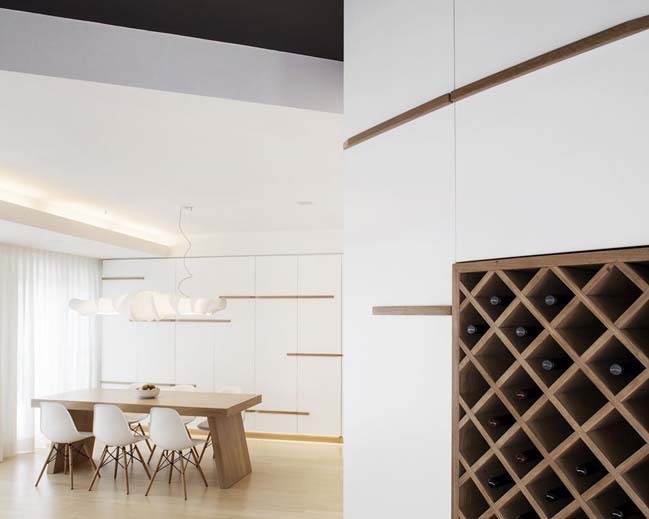 A masterpiece of expert joinery that put the skills of the Officine 3076 craftspeople to the test: they not only built the furniture but were responsible for fitting them, like a hand into a glove, into the unfinished shell of the home. 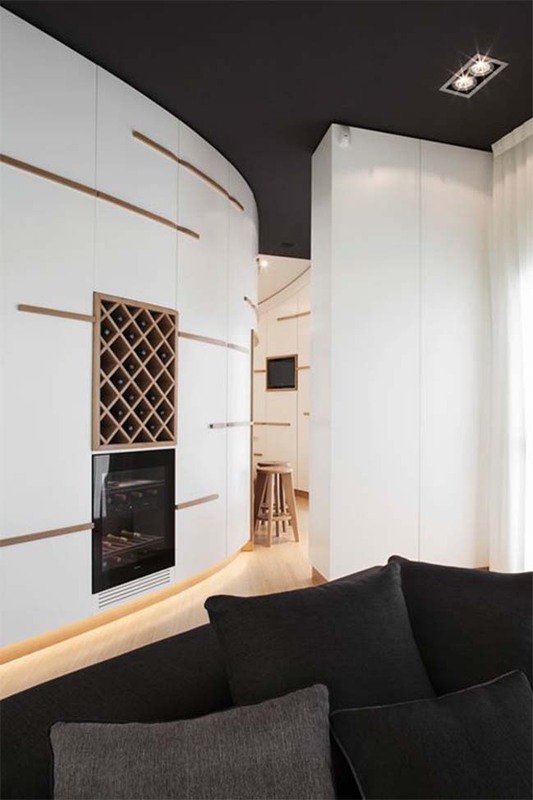 The kitchen also features high-tech professional appliances and is always stocked with a selection of typical, quality local food and wine products to welcome guests’ arrival. 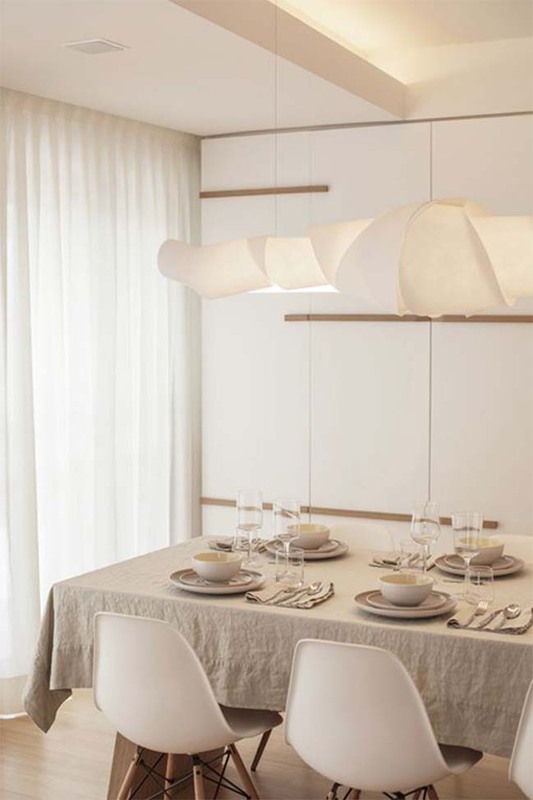 The dominant colors are white and dove gray, perfect accompaniments to the materials, which include oak and natural linen for the fabrics and curtains. 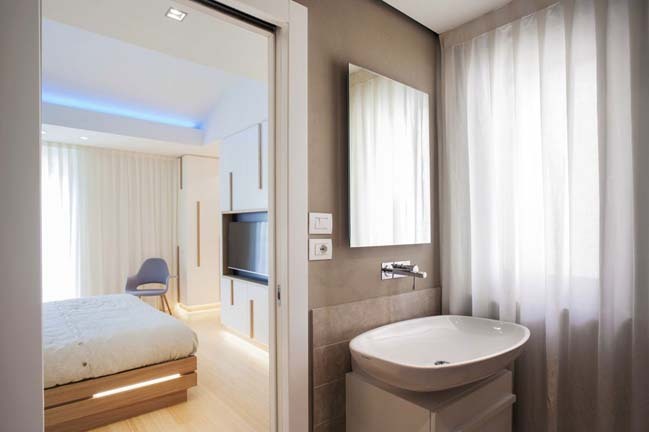 Each room is equipped with a latest-generation Smart TV, manageable via iPad (thanks to a personalized app) from any corner of the home – just like the cable sound system. 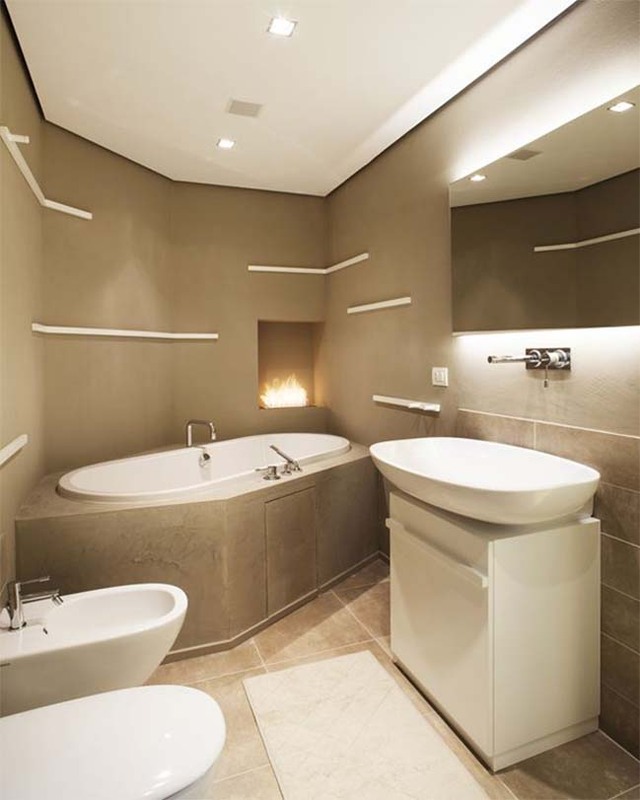 The two baths communicate through the hamman/shower area, with its bioethanol-fired hearth that sets a contemporary mood. 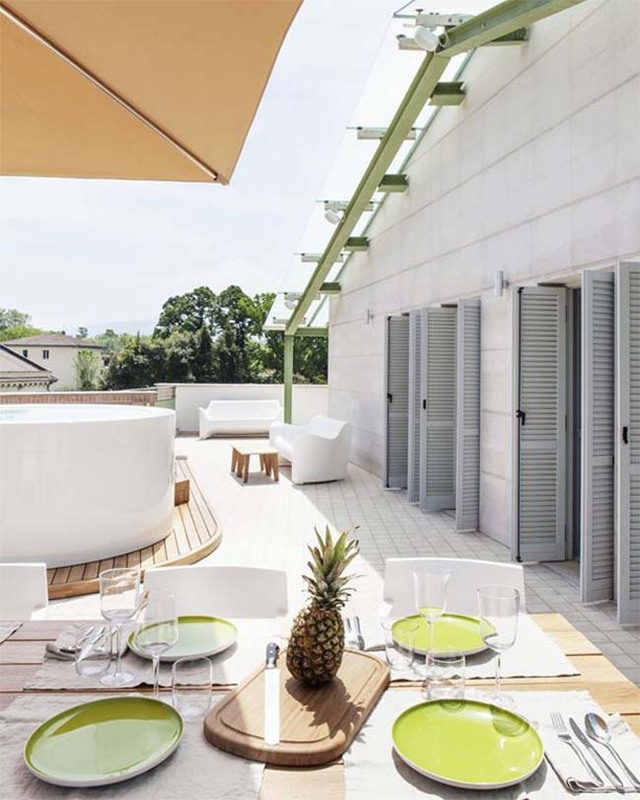 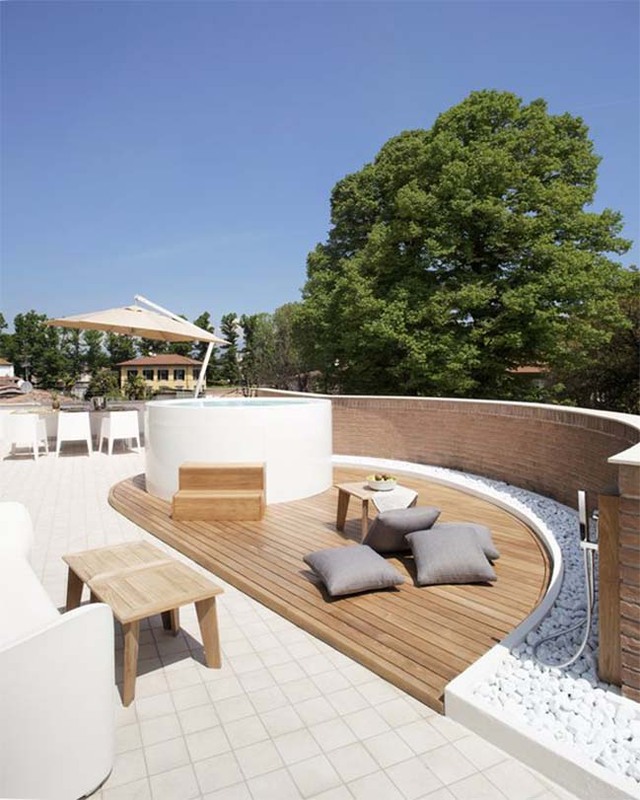 The terrace, unique in its genre, offers an intriguing view of the tree-studded Lucca city walls from three sides and is equipped for total relaxation with a teak solarium and heated infinity-edge minipool with hydromassage and chromotherapy capability.